Why Do People Shop Best Bear Bunch? Gift shoppers can easily customize their ideal gifts with 1-42 teddy bear figurines, designed to meet their exact gift needs, as many bears as they want. Gift shoppers can get their gifts personalized free. All names and meaningful message are hand written on the gift. Gift shoppers can bring life to their Bear Bunch by adding the accessories that depict the hobbies, interests or lifestyle. 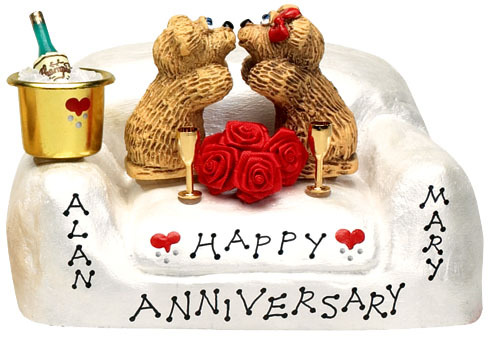 The easy customization, free personalization and personifying accessories make Bear Bunch truly one-of-a-kind keepsake. no two pieces are alike - NEVER. Gift shoppers are worry free using Best Bear Bunch. They enjoy our craftsmanship that started in 1988 and our top rated online gift selling hosted by Yahoo since 2001. Gift shoppers can not buy these unique gifts from other stores. We own the original designs and copyrights of the teddy bears that are registered with the US Copyright Office. Gift shoppers love our quality long lasting keepsake that makes the gift recipient happy today and for years to come. A Florida grandparent has treasures his family bear bunch since 1996. Gift shoppers love to buy from the manufacturer directly. We make the bear necessities. We bunch everything in our workshop in New Jersey. We sell the gifts on our family owned website bestbearbunch.com. No middle man is involved. Our best personalized gifts are made beary affordable. Gift shoppers love our quick turnabout, although a bear bunch requires the detail custom creation and personalization. All bear bunch orders are personalized and shipped out within 0 to 2 business days. Our customers can practically order today and get it tomorrow, compared to "5-7 business days"- turnaround offered by most of other personalized gift stores.